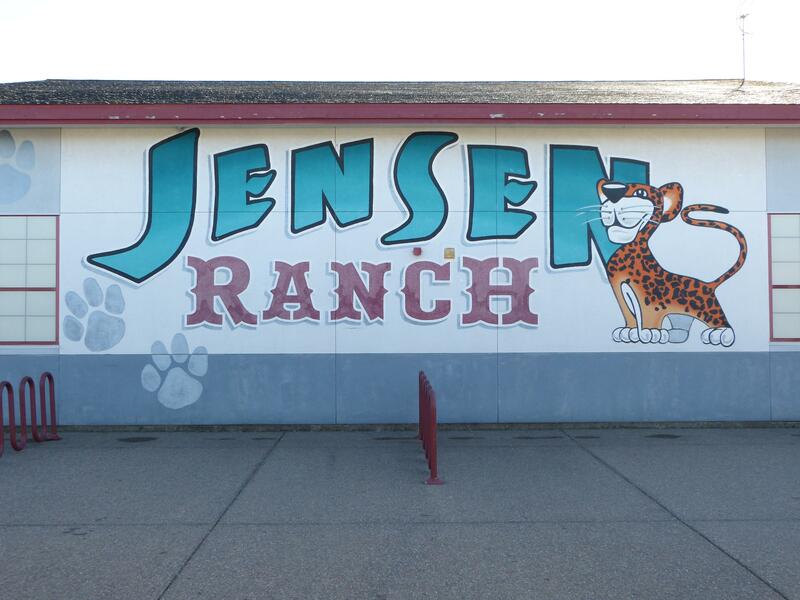 Welcome to Jensen Ranch Elementary School-home of the Jaguars! Jensen Ranch serves approximately 425 students in grades Kindergarten through 5th grade and their families. Jensen Ranch School is dedicated to establishing and maintaining a learning environment where school, community, and individuals work together in an atmosphere of open communication, respect and creative spirit to foster an expectation of excellence, responsibility and life-long learning. • Encouraging the development of self-discipline, responsibility, cooperation, compassion, and consideration of others within our classrooms, school, and community; and promoting a partnership between home, school, and community. Families are critical members of our Jaguar community and I encourage you to be involved in your child’s education. Being actively involved in your child’s education is essential in developing a strong home/school partnership. Whether you are working full-time away from home or at home, make sure you take time every day to connect and be present with your child. Talk to your child about what they are learning in school, have your child read to you, provide a quiet place to do homework every day, and help your child stay organized! Better yet, come and volunteer in a classroom or the library, join our PTA, and/or participate in school activities. Information on our outstanding Jensen Ranch PTA can be found our website under the "Parents" tab. Please take time to review the PTA page and consider actively participating in this vital organization. Jensen is a school where everyone shares in the responsibility for the success of every single one of our students. We cannot do it alone. If there is something going on that may impact your child’s success or focus at school, please communicate with your child’s teacher, myself, or any other staff member with whom you feel comfortable. We are all here to support you and your student in the pursuit of excellence. Jensen Ranch has a rich tradition of excellence. In 2002, 2008, and 2012, Jensen Ranch was honored as a California Distinguished School. In 2013, Jensen Ranch was awarded the National Blue Ribbon Award by the U.S. Department of Education. Jensen Ranch is regularly recognized by the California Business for Education Excellence (CBEE) for academic excellence and closing the achievement gap. On behalf of the Jensen Ranch community, we welcome you and look forward to partnering with you to make this a wonderful school year! Please know that my door is always open and that I value the opportunity to work in partnership with you. I am honored to be joining the Jensen Ranch community to continue the culture of excellence and learning. I have lived in Castro Valley for 21 years and have been involved in the CVUSD schools from K-12 as a parent of recent CVHS graduate. Over the past 26 years, I have served in a wide variety of educational roles from an instructional aide, a teacher at the middle and high school levels, including alternative schools such as community day schools and a minimum-security residential program as well as a high school assistant principal and principal. For the past 11 years, I have found my role as an elementary school principal to be exceptionally rewarding. I truly love working with this age group! I hold a Bachelors degree in Geography and Social Science and a Master’s Degree in Educational Leadership. I lived abroad in Norway for a year studying outdoor education. During the spring, you'll find me directing the CVUSD Elementary Track & Field program for our nine elementary schools. I have been a member of our district's Equity Committee for the past five years and am excited to begin collaborating this school year with our new student ambassador from the high school to further support a culture of inclusivity at Jensen for all. In my free time, I enjoy genealogy research, traveling, and spending time with my family and pets. As Jensen's Principal, I look forward to getting to know you and being a partner in your children's amazing journey through elementary school.